Every Brewer fan knows the team's history. She has heard about Robin Yount, Paul Molitor, Rollie Fingers and the glory days of 1982. She knows that Hammering Hank Aaron came back to Milwaukee County Stadium to finish his big league career where it began. She has probably also heard of a time before the Brewers, when Milwaukee was home to the Braves, who won the 1957 World Series and were ripped away from the city that loved them so. What she might not know is that our modern Brewers tap into a heritage that goes way back before the Braves to the dawn of the 20th century and beyond. 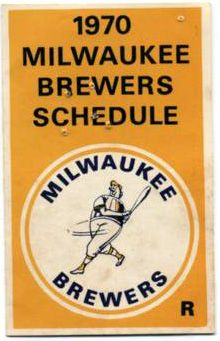 There was a team, also known as the Milwaukee Brewers, that played at an old wooden ballpark known for most of its life as Borchert Field. The first logo of our modern Brewers, back when they played in the American League, was known as the "Beer Barrel Man." He dates back to the 1940s, and was chosen by original Brewers owner Bud Selig to link his new baseball club with the city's past. 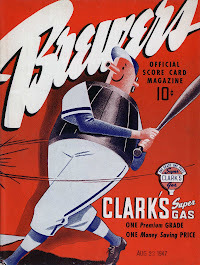 We're going to be exploring these sorts of connections, the new to the old, as well as telling great tales about the Cream City's baseball history. 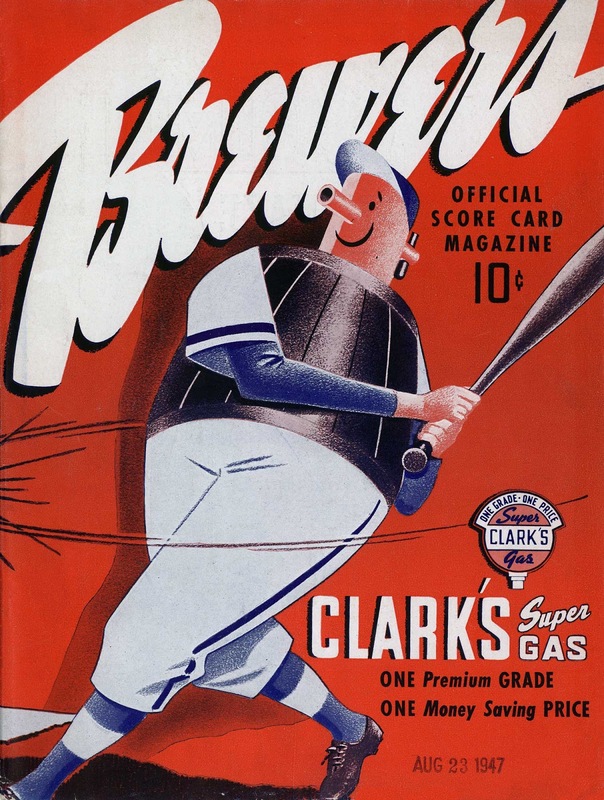 If we do our job, then the Brewer fan of today will know that her city's baseball history goes back much farther than the Braves, and that her club is part of a long and glorious heritage. Welcome to the Online Museum!